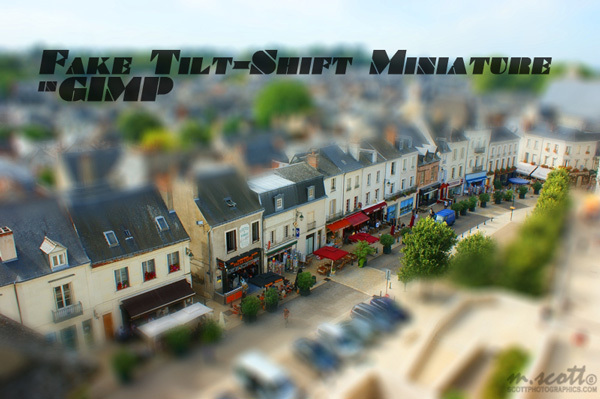 Tilt-Shift Photograpy is a great technique to experiment with and if you don’t want to spend your money on a new lens then it is possible to replicate the effect, and in this tutorial I’ll show you how to achieve this effect! 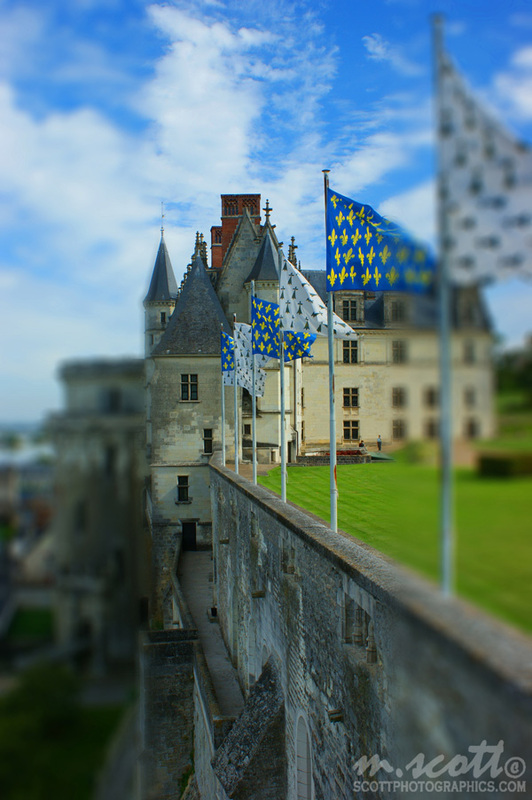 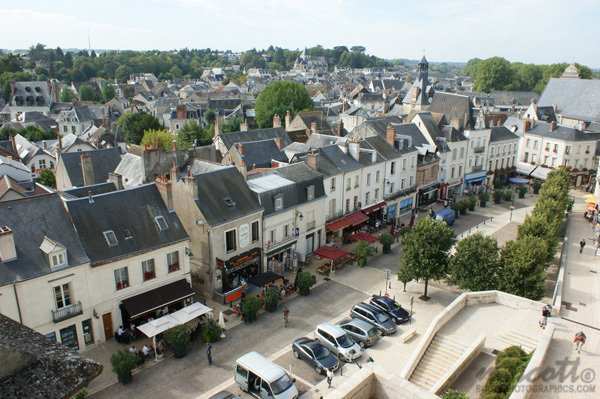 The first and hardest step is selecting the right photograph to use with this technique, the optimum photo is one that was shot high up above the subject and a substantial distance away, otherwise the effect of it being miniature cannot be emphasised well. 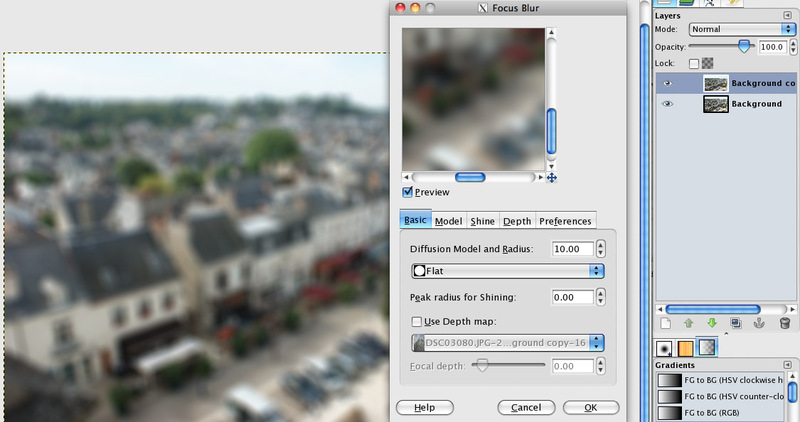 Note: It may require a small amount of tweaking to get a desired blur. 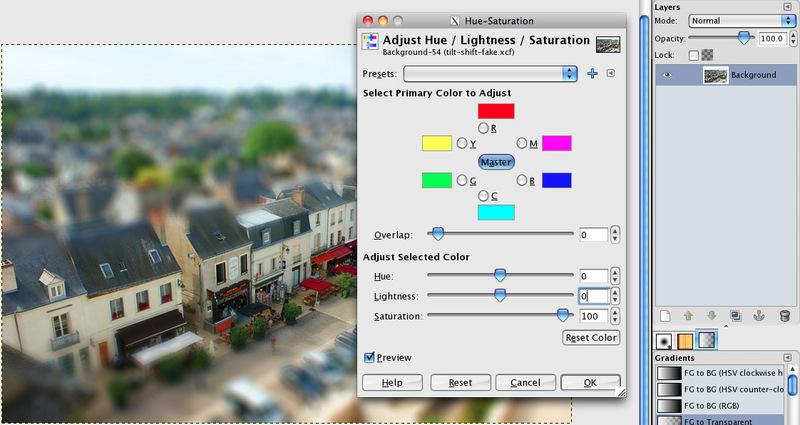 Go, Colors –> Hue/Saturation: Increase saturation until happy with the look! 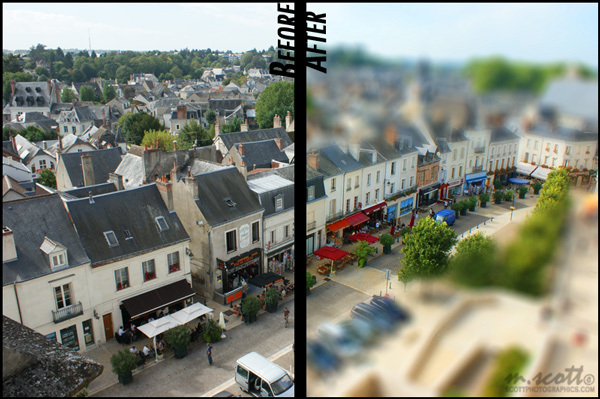 Saturate for a ‘Plastic’ Look!